Like great resolutions, we must build and learn from our mistakes to make transformations in our writing or illustrating. Gaining new insight is part of that process and certainly, others influence that change. Like the characters from the pages of the picture books themselves, we are growing and changing as creatives. Character transformation is what makes resolutions sing. Sometimes, a transformation must occur in order to achieve a newly realized desire. And sometimes, transformation comes to an entire group. Over the past twenty days, we have gathered perspectives from professionals, hoping to change our creations for the better. Hats off to everyone as we transform and continue with our mentor text research. Carrie Charley Brown and Kirsti Call forged a writing partnership in January of 2013. Since then, they have critiqued and edited nearly every picture book (70+) that each has written. In 2016, they united to manage and coordinate the ReFoReMo challenge together. 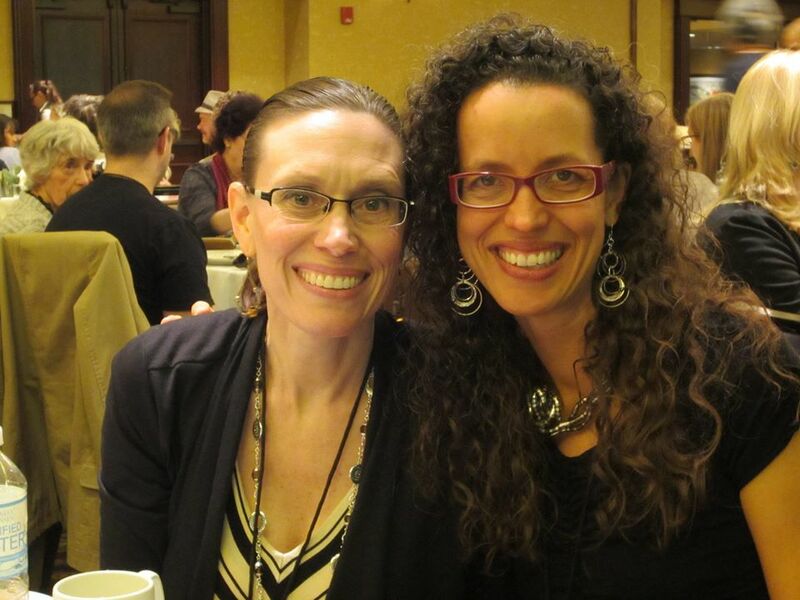 They are grateful for each other and the kidlit community. I feel transformed! But I couldn’t have done it without Carrie and Kirsti. Thank you for this list of characters and books and for this great experience, ReFoReMo. Yipeee! Glad you enjoyed ReFoReMo! I especially appreciated that you not only gave us mentor text for self-transformation, but also examples of characters who relied on others. It was a great example of "Every rule can be broken, but there is a reason for the rule." Thanks! This has been a great challenge and I have truly enjoyed and learned so much from all the guests. Thank you both for all you do in helping us all find mentor texts and grow as readers and writers. Another PB where the friends solve the problem is "Bonaparte Falls Apart." 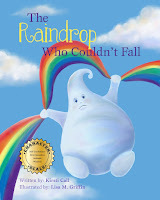 Margery Cuyler said she wrote it that way, b/c in life we often rely on our friends. 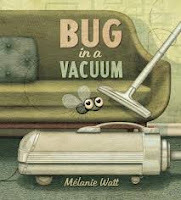 It was a great idea for you two to take what helped you two grow as writers and turn it into an annual challenge for all PB writers in the kid lit community. Thank you! 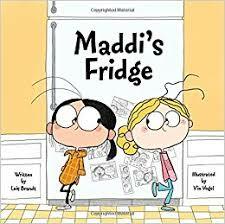 These are great mentor texts for character resolution. I can't wait to read the ones out in June. Thanks also for ReFoReMo, the challenge and community are inspiring! This list of alternative ways to look at the dynamics of problem solving allows for more cooperative stories. I'd been wondering about that "independent" lens when stories could convey so many more alternatives to problem solving. Thank you! How can it be the end of the month already? Thanks Carrie and Kirsti - every year you bring new books to the shelf and I always learn something new. Thanks, Carrie and Kirsti! I always read triple the number of PBs during the ReFoReMo challenge. Thanks for a great month of opportunity! Thank you for a great month of PB reading. Participating for the first time last year developed a habit of reading loads of PBs throughout the year. Great insight on all the posts from this month. Many thanks! Hats off to you for providing such a wonderful month of reading! I hope to see my writing transform. Thank you for this and for this month of ReFoReMo. Have learned a lot from reading these great posts and texts! Great list about character building and problem solving. 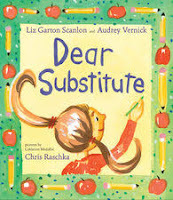 Thank you, Kirsti and Carrie, for a great month of mentor texts and wonderful guests. I have learned much and hope to continue reading and learning and moving my writing forward! Thank you for this experience. It has been a pleasure to read these posts and to explore these texts. We so glad you've enjoyed it! I have learned so much this year. two pictures books ideas have been hatched because of all my reading, learning and resesrching. thank you. Charlie and Kirsti, thank you for the month of March. 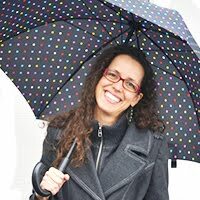 I always learn more about myself and my writing while participating in this challenge. And today's lesson is right on target too. Happy you two came together and formed a beautiful partnership. We are happy about it too :) Thanks Traci! I like that you included some books where an entire group transforms. I think NAKED MOLE RAT GETS DRESSED could fit there as well. I have not read as many books this year as in past years, but I found some helpful mentor texts. Tomorrow is a bookstore day! What a wonderful month! TY again Carrie and KIrsti! Glad you're part of the ReFoReMo family, Kathy! Thank you for another fabulous ReFoReMo Carrie and Kirsti. It's much appreciated and offers so much writing and research nourishment. Thank you Carrie and Kirsti for all of your effort and time! It has been a wonderful month of learning. And many thanks to all of the guest contributors. Thank you for this spectacular wrap-up to ReFoReMo! Enjoying a stack of picture books every day has been a great boost to target and enhance my writing. I appreciate all you've done to help other kidlit writers. Thanks, you guys! Can't believe this month is over! Thank you, Carrie and Kirsti, for all your hard work and inspiration! I enjoyed the posts and the books I've read. Now to carry on and write good stuff, thinking in new ways. Thanks, Carrie and Kirsti, for this interesting take on character transformation. I can't wait to read/re-read these awesome PBs. Great transformation mentor texts -- and thanks so very very much for a great month of recommendations and inspiration, Kirsti and Carrie! Transformation - what a great topic! Thank you for the texts suggestions! Thank you for sharing these wonderful mentor texts and for all you do through Reforemo for the Writing Community! 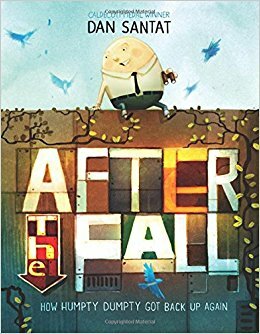 I love mentor texts and these are wonderful because it is so essential to dig deep and find the character's journey and growth. Always easier said than done. Thank you! You are further proof how amazing the the kidlit community is! It's been such an insightful and inspiring month. Thank you, Carrie and Kirsti. What a great month. one of my most productive, and in no small part due to the inspiration received here. Thank you for everything, Kirsti and Carrie. Thank you Carrie and Kristi for a wonderful month of reading and studying picture books!!! This was my first year to participate. I have loved it and have learned so much. Thank you. Great examples and happy to see some books I loved from earlier this month (that were new to me then) come back around for another appearance. Thank you for all the learning and discoveries this month! I may have set my record for library visits, discovered new books I love, and appreciated the reminders and inspiration in your daily posts. A few of my drafts have gone through transformation already. Thanks, Carrie and Kirsti, for all the work you put into this amazing month! This is a great list and I'm looking forward to studying these books with your comments in mind. Can't thank you both enough for this wonderful month. Living in South America often makes it hard to access books and keep up on the latest trends in the KidLit market. Not only do your mentor texts help deepen my thinking as a reader and as a writer, they also help keep me current, and introduce me to new people to follow and learn from. I'm now a junkie of the Matthew Winner podcast and have discovered tons of authors, editors, and agents to follow. Thank you! Thank you! Thank you! Already looking forward to ReFoReMo 2019. You ladies are kid lit rock stars in my book. Wow! More new books to check out and try. Thanks Carrie and Kirsti for all you do to coordinate this adventure and expose us to new titles and books and some older. My first year as well for the ReFoReMo. I hope my library will order some of these books that I've requested over the past couple weeks. My goal? Better page turns-now where is my pen? Thanks! This has been my first year participating in ReFoReMo and I have gained so much insight from it. Thank you Carrie and Kirsti. It's been a great month. Thanks for your time and effort. This has been a transformative month. So much great advice and fantastic books to read and learn from. Thank you so much! So many wonderful books! I have totally enjoyed this month! Thank you! Thank you so much for everything you do to bring us this valuable educational experience each year. Much thanks to Carrie & Kirsti for the efforts behind the scenes today and each & every day! This was my first time participating in Reforemo. Thank you both so much for taking the time to put this together! I am rereading and savoring a particular few as I work on my transformation as a writer! Thank you, Kirsti and Carrie! This has been a great month of reading, learning, and looking at writing in a different way. Thank you thank you thank you! Love this list and this group! One more: thank you! I especially loved Sophie's Squash. All these books are perfect for the main character solving their own problem. Worth rereading! Thanks so much! Thank you for this program of inspiration and discovery. Research is all about growth and I’ve learned so much. You’ve helped us all to plant so many seeds and I expect there will be an enormous bounty! Thank you. I applaud you both for your insight and knowledge and willingness to share it. This set of mentor texts is particularly helpful. Thank you so much! I have enjoyed ReFoReMo this year...thank you so much! Thanks for these mentor text suggestions and for another great year of ReFoReMo! I was really looking forward to ReFoReMo this year, and it did not disappoint! I could never on my own find all these wonderful books to read without guidance, and I know I have been introduced to writers and books I might not have known about otherwise. I feel so enlightened and enriched by everything the contributors had to say. Thank you so much, Carrie and Kirsti, for all the hard work you put into making ReFoReMo possible! I'm so grateful for the two of you, Carrie and Kirsti! ReFoReMo has transformed me with growth and inspiration as a writer. Thank you for all the two of you do for the writing/Illustrating community! You rocked 2018! Thank you, Carrie and Kristi for a wonderful month of reading, learning and exploring NEW books and authors. Excellent closing, Collaboration is the KEY. Blessings to all of you! Thank you, Kirsti and Carrie, for bringing us ReFoReMo once again! It gets better and better each year. Thank you for a great month of reading and learning!! Really beneficial to my writing, but also to the list of my favorite PB's!! It has been been great month! Thanks so much! Thanks, Carrie and Kirsti, for this last list of titles for us to study and enjoy. ReFoReMo is always inspirational for me, as I discover books I've not run across before, and new insights into old reads! And we are grateful for you and ReFoReMo! Great list, thank you! Another twist: Stories where the MC doesn't change but others around them do. For instance, in Sparkle Boy, the MC remains his sparkly self and his ultimately sister comes to accept him as he is. What a great wealth is in all this magnificence that Carrie and Kirsti bring to us! I love these variations on problem solving, and the many ways we can't study examples to pump up our own writing. And, hurrah, for their long partnership! Thanks for all the great suggestions! I learned a lot and was able to look at previously read books through a new lens. Thank you so much, Carrie and Kirsti! This month flew by. I learned a lot, as usual with ReFoReMo! Thank you for a great month of suggestions! I absolutely love Dot's transformation in "Wolfie The Bunny"! 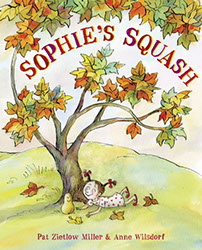 "The Day I Became A Bird" & "Sophie's Squash" were also great examples of how main characters can be independent problem solvers. I'm looking forward to reading the others. Carrie and Kirsti, another fabulous ReFoReMo! Thank you to all the contributors for their insight. I'm feeling inspired and motivated!! Thank you ladies! Wonderful texts to help us transform our work for the better. I am interested to find out how the characters solve their problems in these books. And we are all grateful for you both! Thanks for continuing this challenge! Thank you, thank you, thank you!!! I think you've said it all-"Character transformation is what makes transformation sing!" This month has been inspiring. 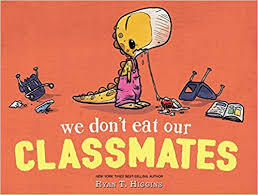 Gave me (us) a challenge to to read and study more picture books than normal. 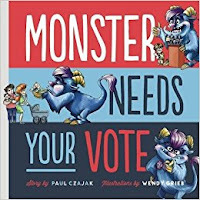 And, great mentor texts. Some new titles that I wouldn't have heard of if not here. Thank you again. Thank you so much, Carrie and Kirsti! I look forward to ReFoReMo all year. It's a lot of work for us as participants, I can hardly imagine how much work it is to organize! Thank you for putting it all together! So much to digest. Thanks for the books and the posts. Another great year! This has been a wonderful and enlightening challenge. Thank you! Transformation, indeed! This has been a fantastic way to grow as a writer and creative thinker. Thank you Kirsti and Carrie for this amazing experience!!!! These mentor texts are great. I'm so looking forward to applying all my new knowledge to future stories I write. Thank you for a great month! Hard to believe it's coming to end. Obviously, I've been too busy reading to mark the days off the calendar. Thank you!! Thank you, Carrie and Kirsti, for providing this wonderful opportunity for us to grow and transform as picture book writers. Again, I've been exposed to many books I probably would not have become acquainted with if not for ReFoReMo. The books have provided many ideas and new perspectives to consider as I approach my own writing anew. I appreciate all the work you have done to make this a successful venture for us. What a great list...I see several of my favorites on there. Transformation is so important in a story; otherwise, the story usually falls flat and holds little interest! These are very helpful, thank you!! Another great Month of March with ReFoReMo. I always learn and I always look inward at my writing self. Thank you for a great month of learning and growing Carrie & Kirsti! THANK YOU, THANK YOU, Carrie and Kirstie! I always learn so much and get inspired to write and read more. A fantastic month. Appreciate all your hard work. A big 'thank you' Carrie and Kristi for another group of great mentor texts. Another opportunity to learn and grow! Wow! What a great personal transformation ReFoReMo has been for me. So glad I decided to participate! 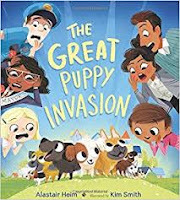 In today's grouping of books, I'm glad you included some where the protagonist solves the problem solo and some where he/she gets a wee little help. I've definitely wondered in my own stories how much outside help is ok without compromising the code. This group of stories helps me get closer to an answer. Thanks for an inspiring month! Great selection of mentor texts. I especially adore "New Shoes"! Thank you, Carrie and Kristi, for a terrific ReFoReMo! Once again I loved this experience. I'm exhausted - but there were so many excellent books and I felt so inspired to write this month. Thank you!! Thanks for all the great posts this month!!! Thanks so much for all the great posts and recommended texts, including today's - transformative in so many unanticipated ways! 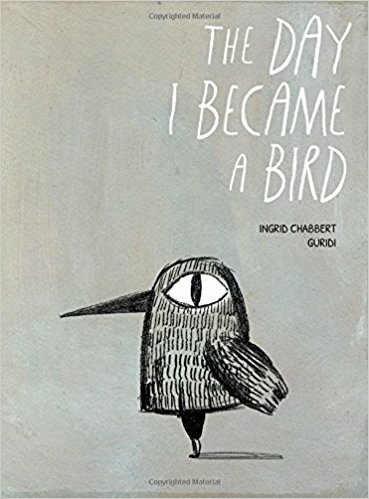 The Day I Became a Bird and After the Fall were two of my favorites in ReFoReMo. I think this has something to do with the main character resolving their own problem by brainstorming and coming to a self realization that transformed them. That will be a powerful tool I'll need to use in my own writing. Thanks for organizing all of these author posts and storybook topics. I learned a lot this month (after spending many weekends reading for hours on end, ha!). I really enjoyed a lot of the selections. Thanks again. This was my first time participating in reforemo and I can certainly say that these mentor texts have helped transform how I approach my writing. 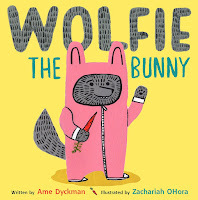 I especially enjoyed Wolfie the Bunny and After the Fall. Thanks, as always, for putting all of this together! Thank you so much for all of your hard work organizing ReFoReMo. This was my first year and I really enjoyed it and learned so much. Thanks to all of the contributors also. Thank you so much for this awesome month! I learnt so much . . . and hope I am in the process of transforming! Here's to transforming writers as we learn to transform our characters in a wonderful and special way! Thanks so much for another great ReFoReMo! I found some new favorites, enjoyed reading titles that I might not have selected on my own, and appreciated other titles more after reading them this time around. I love the idea of our transforming along with the characters we read about and create. Sometimes I feel like my writing and I are at a standstill. I know, though, that with challenges like ReFoReMo, I am growing as a reader and as a writer. I'm gaining insight and becoming more open to different books and perspectives. Thanks again to everyone for their hard work! I LOVE THIS post and the AMAZING book examples you've provided! Transformations in our own writing, gleaned throughout our ReFoReMo experience, is TRULY what GREAT writing is ALL about. If we haven't learned from each book, and applied it to our own writing in how to make it even better, than we have missed AMAZING opportunities to grow--each and every day, with each and every post, and each and every book. THANK YOU for providing SUCH A WONDERFUL avenue for personal growth to take place! Thank you so much for organizing ReFoREMo. This was my first year to participate. When I began, I honestly did not know what to expect. Each post has been excellent! I look forward to reviewing the posts and applying what I have learned in my own writing. 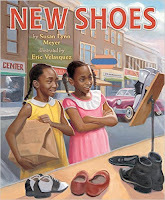 Thank you too for the list of mentor texts which focus on transformation. I am currently working on a book in which the character wants to be an independent problem solver but finds he needs a little help. I found your post to be very helpful. Thank you for introducing me to some great new books. 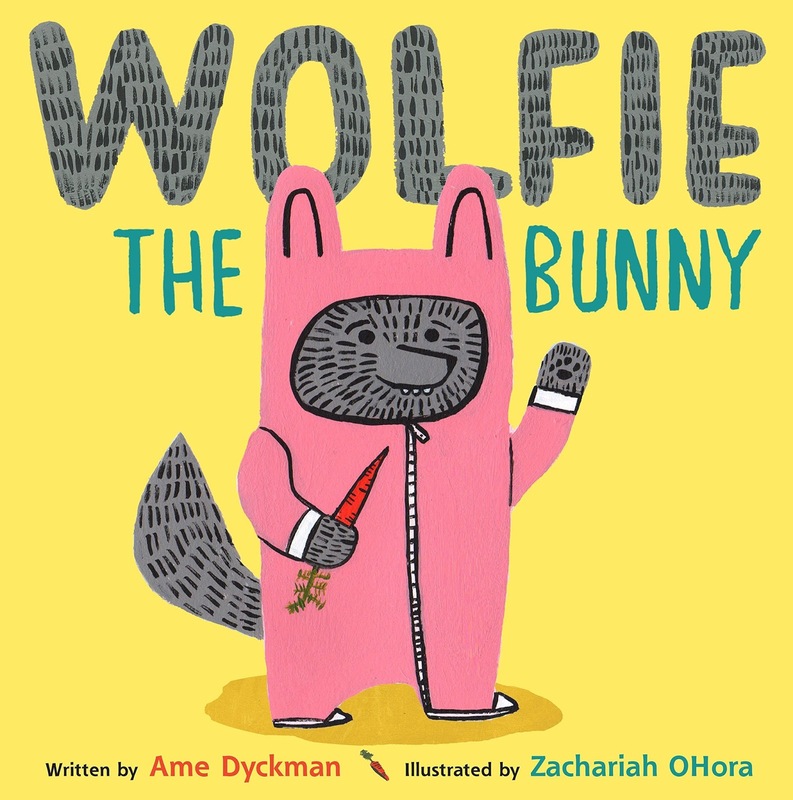 ReFoReMo helped me get a clearer idea of the current picture book market. Carrie & Kirsti, huge thanks for ReFoReMo and the wealth of insights it brings, year in and year out! Living in Europe, it isn't easy to get my hands on all these books but I follow along as best I can. I'm very grateful for the motivation and the analyses of various kinds of PB texts. Thanks again, ladies! The Carrie/Kirsti Combo is a fantastic example of transformation, as it's like you're mentor text cheerleaders and critique gurus in our vast picture book community! Thanks for this reminder about character transformation, and thanks even more for being such wonderful women in our writing community! Thank you for this list of books. Thank you for running ReFoReMo. I treasure the list of mentor texts. So many ways to transform! My personal goal this year is to take advantage of the many learning and growing opportunities like RefoReMo. Thank you so much for your generosity and commitment in providing great mentors and texts for me to study craft. Reading and re-reading all of these fantastic books! So many excellent picture book titles. So many opportunities to learn and grow as a writer. Thank you for sharing your love of literacy, reading & writing. OOOH I'm loving this post. I also love how you included books where there is help from others to solve the problem, because, honestly, isn't that sometimes life? Sometimes we do need a little help from other. We get by with a little help form our friends. Thank you Carrie and Kristi! This list is a keeper! 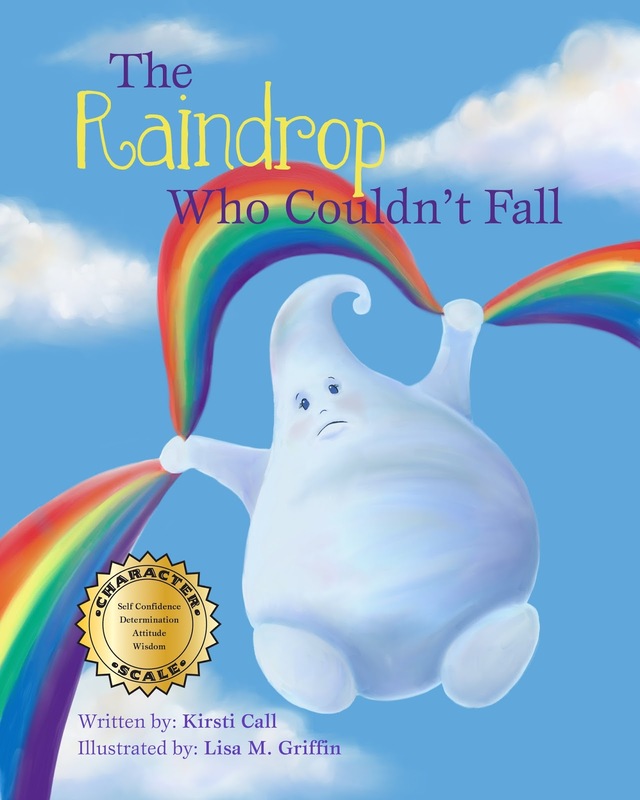 The Raindrop who couldn't fall was my favorite! Thank you for another amazing list of books! I'm going to be rereading some of these again and again. 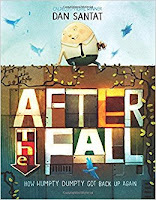 After the Fall still blows me away every time I read it, just brilliant. And thanks to both of you for everything you did to make ReFoReMo possible. I learned so much, I can't thank you enough!! Thank you so much for coordinating this month. I have learned so much by doing an analysis of so many books. Since I can only interlibrary loan 3 at a time from my small library, I look forward to making more pb best friends for the remainder of the year! Such a thorough list -- thank you! Several were new me. Thanks, ladies, for bringing these titles to our attention, and for the whole month of learning together! OMG. Your list includes so many from my personal library. I suppose that's proof positive that readers love independent problem solvers. Thanks for sharing! And ReFoReMo helps me with my transformation as a writer! So grateful for this month, ladies. Thank you! Thank you so much for a great month. I've loved reading so many good books! I've learned a great deal, as well. Thanks for the wonderful month Kristi and Carrie! 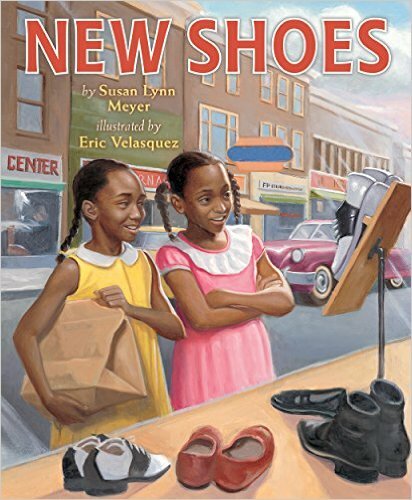 Thank you for this great list of mentor texts with many ways that characters can transform. Thank you for helping to transform us as writers! I learned a lot that will be beneficial to my own writing. Thanks for an incredible month. I've grown as much as the characters in our mentor texts! 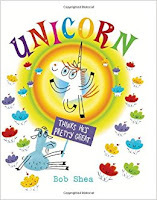 You had me at Bob Shea. :) Thanks for the wonderful line up. So many fabulous books out there and I love seeing them in a different light. Thank you for REFOREMO. I love reading all the mentor texts and seeing how they improve my own PBs. Awesome lineup with wonderful text selections. There are about 5 of these recommended texts that I read and thought, "OH! This is exactly what I'm trying to do in my latest WIP!" Such great suggestions- thank you! I recently read a reminder about letting the MC solve her own problems, rather than her parents. Great lesson to continue to learn! Thanks for all of the fabulous mentor texts and blog posts all month long! Thank you both for all the time and love you pour into this month. It was a great first experience with ReFoReMo! What a great month! Thank you for this transformative experience and I am grateful that you spearhead this challenge! Thank you, Kirsti and Carrie, for this insightful post and for a whole month of intensive learning. I plan to keep up with the mentor text habit year-round in the hopes of making some transformations in my writing! A great post and great texts! Thank you! Thank you for showing with this lesson there's more than 1 way to make a transformation! And thank you for a month full of reading! I loved every minute of it! We are all transformed as we write and grow. I DO feel that I have grown as a writer, and certain my manuscripts will benefit greatly. Thank you both so much for all that you do to support us as writers, and ultimately, to support the readers with richer, meaningful text. Thank you! I read lots of great titles wear the main character makes a transformation. Love these books! Still eagerly awaiting some of them to be delivered to my library. Making the character change as naturally to story is possible is sometimes a challenge. I also love stories where the character doesn't change, but the people around them do. These are inspiring. Thank you so much for another amazing month! Thank you for all the work done for Reforemo! It was a great experience! Beautiful closing post. That Transformation is possible is a great thing for kids to see, learn and hear. Being part of this challenge was a great experience. I found some wonderful books and I my writing will be better because of it. Thank you for taking the time to prepare ReFoReMo. Thank you for organizing this challenge, it has been enlightening in so many ways. 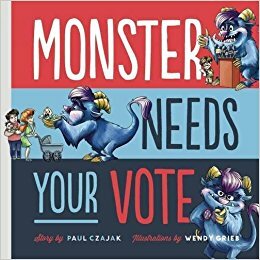 Immensely helpful mentor texts. And your summary of the different types of transformations a character can undergo is terrific. I love the fact that you took a look at books in which the character solves his/her problem and ones in which the character needs help. Thank you for all of your hard work. ReFoReMo is both enriching and enlightening. Thank you! Thank you for this challenge. It has been so enlightening. I enjoyed reading through each post. Thank you for such a great list of books to read.